So recently I got to try out this Mao Yan Mei Tea which was sent over to my home to try out. Ordering this tea has to be done online, as the the tea isn't out in any retail shop yet. Anyway, today's post will be a writeup on the benefits of the Mao Yan Mei Tea and it's taste and flavour after I tried it out. Do read on. Zhangjiajie, known as the “Classic Landscape and the Source of Poetry”, has three thousands unique mountain peaks and eight hundred graceful rivers. It is the location of the “Utopian Paradise Away from the World” as stated in the China Classic Novel <Peach Blossom Source>. After the investigation and analysis, the experts recognized that the Tujia population who consumes this Tea for many thousand years seldom suffers from then “Three Highs Disease” (meaning high cholesterol, high blood pressure and high blood sugar), obesity, cancer etc which are commonly found in the city inhabitants. It is one of the world’s rarest edible plants because it grows at 1,500 meters above the sea level around the precipitous cliffs and crags embraced by clouds and mist. As MYM has the highest concentrations of highly active flavonoids compounds among all wild plants and contains 17 amino acids including methionine, leucine and glutamic acid as well as 14 trace elements such as calcium, iron, zinc, selenium and others, it is commonly known as the “Godly Tea” or “folk magical tea” in China. A quick browse through their website taught me a lot about the tea itself. 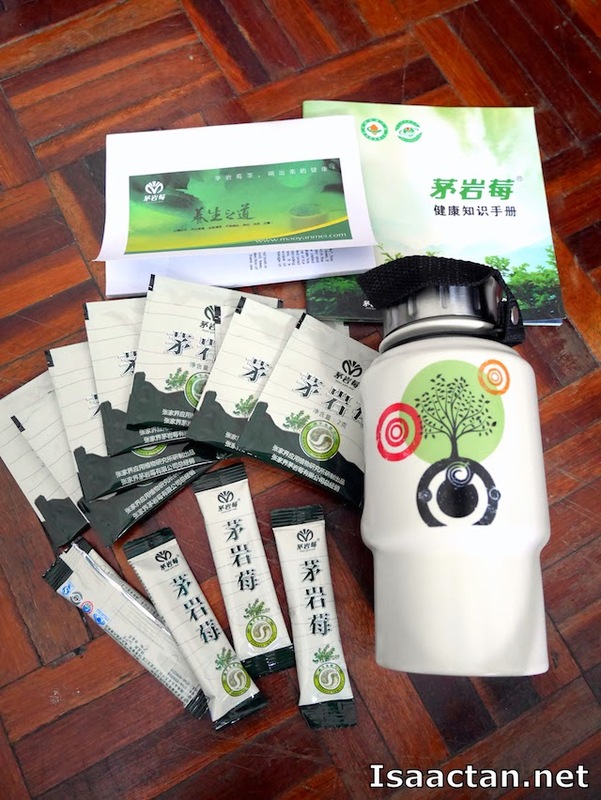 For instance, I did not know that since 1993, the Zhangjiajie Authority has used Maoyanmei Health Tea as the specially customized serving tea as well as the much admired specialty gift for the international and national leaders, chiefs, heads, guests and visitors. With the certification from Hunan Provincial Government (State Ministry of Health in China), MYM tea is proven that it has unique and multiple healing and medicinal efficacy and versatile usefulness. It does not bring any negative side effects and is suitable to be consumed by everyone from all ages. MYM tea is able to strengthen body’s immune system, sharpen body’s self-recovery ability, promote a better digestion and toxic excretion and improve physical strength. Now that's a whole lot of benefits from this Mao Yan Mei tea. Well, at least these were what I've gotten from the website itself. 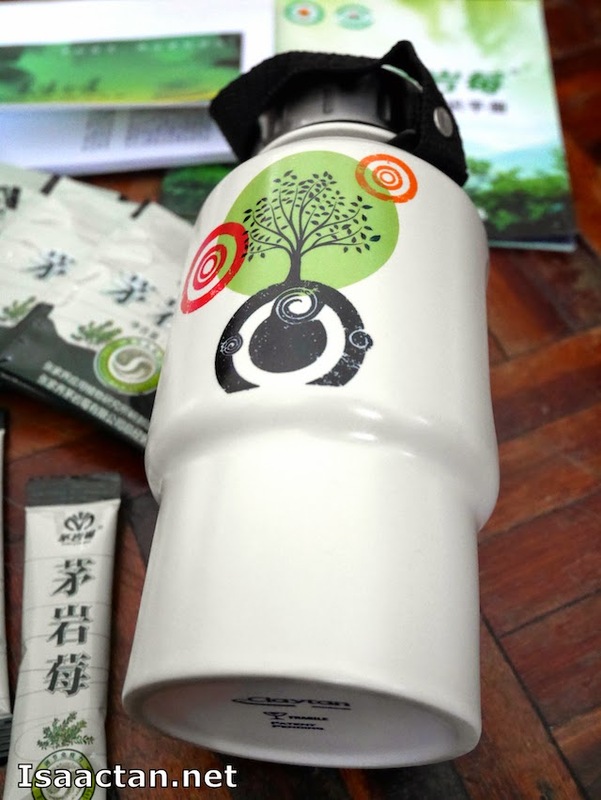 This pretty cannister bottle came along with the tea, where we were supposed to brew it together. Check out the differences between Mao Yan Mei Tea and other conventional tea below. Can it be consumed before sleeping time? Can it be consumed simultaneously with either a traditional Chinese medicine or Western Medicine? Cannot because the normal tea may “destroy” the medicine, thus reducing the optimal effect of the medicine. So what's my take on this tea? Well on top of the published health benefits, after reading all that alone I already felt pretty good even before drinking it. Brewing it, the initial taste surprised me, where unlike other tea Mao Yan Mei had this slight bitterness in the first 10 seconds in mouth, quickly followed by mellow sweetness. It was a good drink, and went down nicely into my throat. Now I'm no tea expert, but do check them out at their website www.maoyanmei.com and maoyanmei.wordpress.com for further info, as well as directions on how to order this tea for yourself. As for me, I'll just open up the other tea sachets and enjoy my Mao Yan Mei Tea over this relaxing weekend. Here's to more healthy posts sharing! 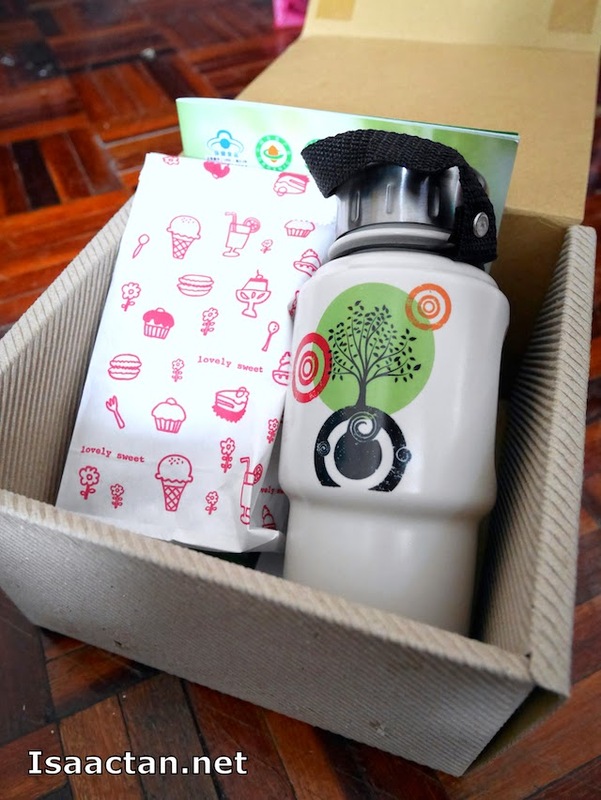 The bottle looks pretty and very nice!! Does the tea taste good? ?